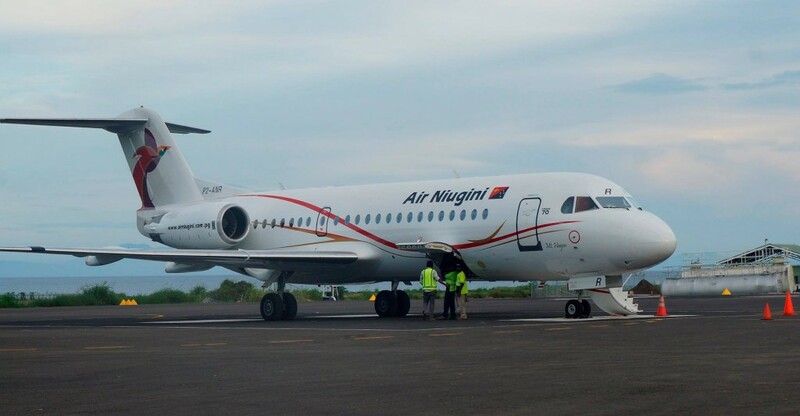 Air Niugini’s jet aircraft have resumed operations into Hoskins airport, West New Britain early this week(Tuesday 16th June 2015) after not flying there for 8 years due to poor runway condition. The decision to resume jet services was made after works to maintain and extend the airport runway was completed last month. The flight PX 244 also marked the first for Air Niugini’s recently acquired aircraft, Fokker 70 to operate to Hoskins. A good crowd turned up at the airport to witness the arrival of the new aircraft. Apart from the commercial passengers, on board F70’s first flight were leaders and bureaucrats from the province including Police Commissioner- Garry Baki, Secretary for Works- Roy Mumu, Talasea MP Francis Marus, Provincial Administrator Williamson Hosea and others who were welcomed by a traditional singsing group on arrival. 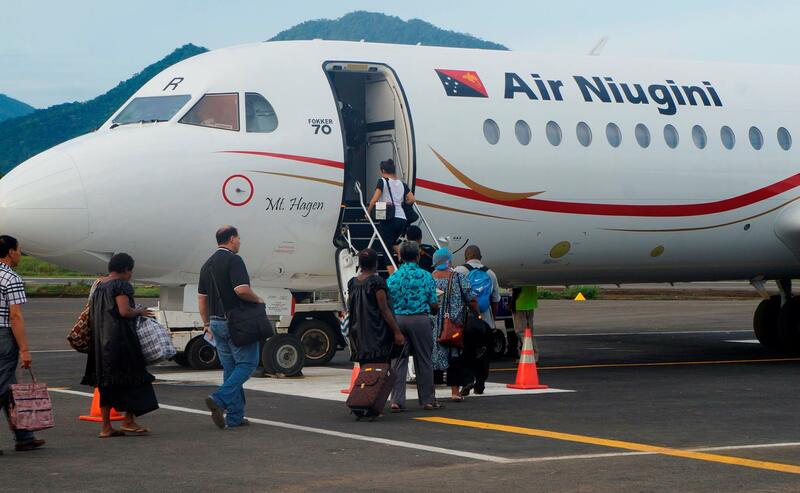 Air Niugini General Manager, Customers and Markets Dominic Kaumu said the F70 has better range with high tail engines and bigger cargo hold and cargo doors. Its operations now into Hoskins airport allows for additional capacity for passenger and cargo movement in and out of West New Britain. For the last 8 years, only Dash 8 aircraft and recently Q400 operated in and out of Hoskins airport.